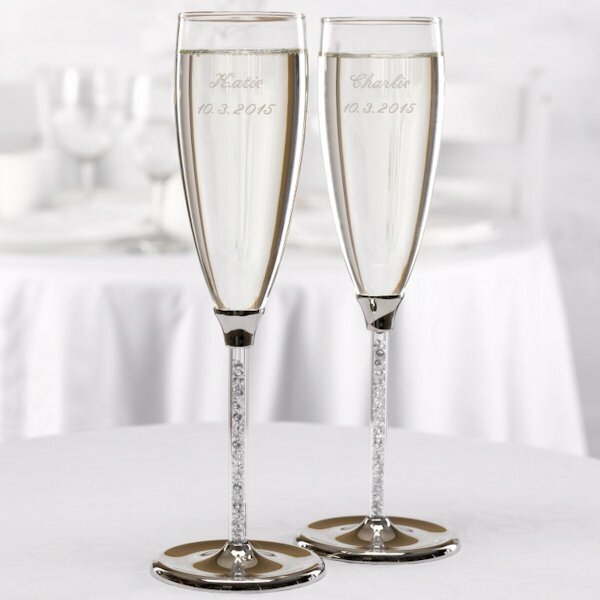 We've filled the stems of these silver-accented flutes with glittering glass beads to catch the light and create dazzling results! 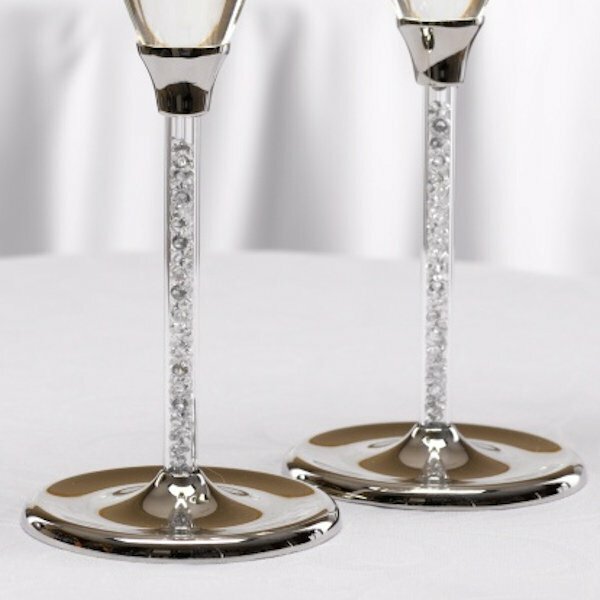 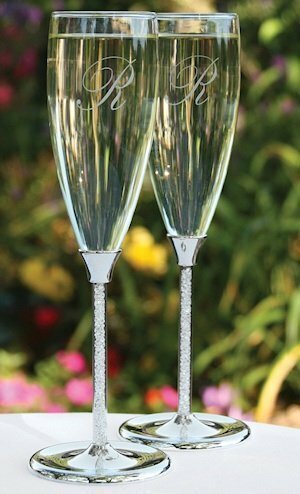 The pair of 9 1/4" tall unique wedding toasting flutes can also be optionally personalized with your choice of a single initial (same initial on both flutes) or two names and a date. 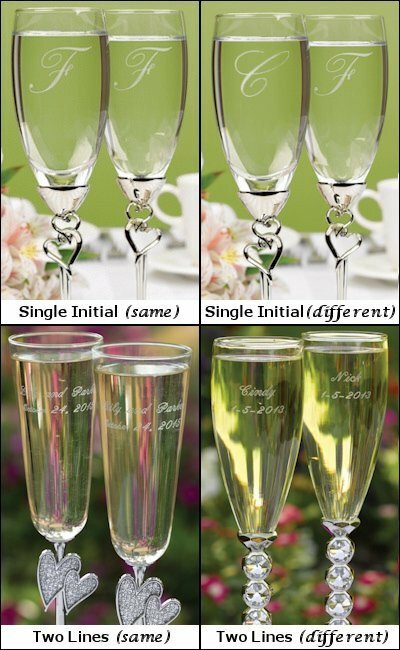 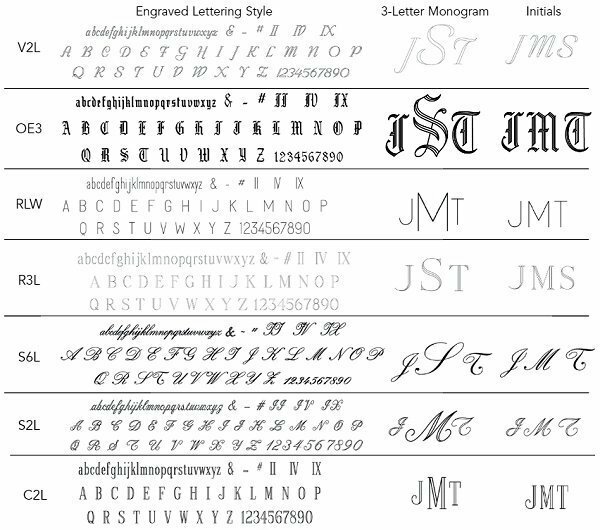 Select from multiple engraving formats and font styles during checkout. 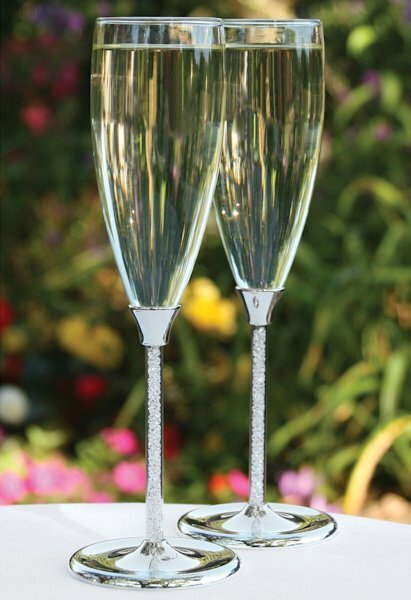 Coordinate your reception perfectly by purchasing the matching cake serving set which is sold separately.